We recently teamed up with Lidl UK to create a brand identity and packaging design for their latest craft beer offering that would stand out to millennials. 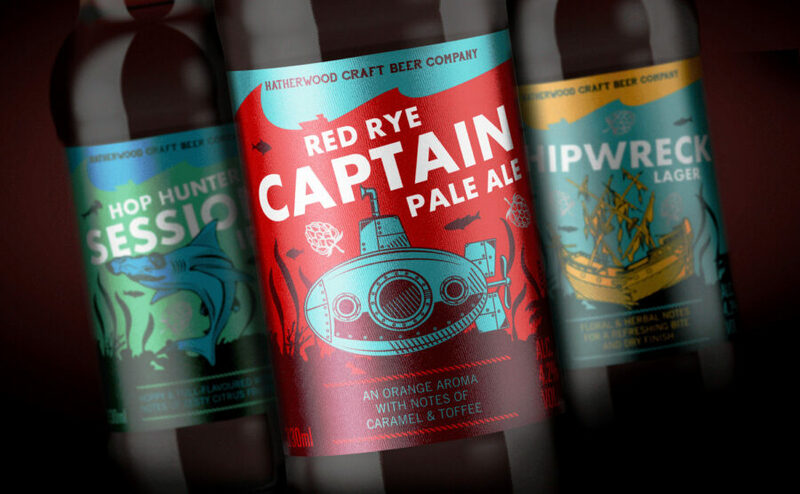 We built a brand identity for this range that looks edgy and nautical for both cans and bottles, using illustrated images inspired by Jules Verne’s novel, Twenty Thousand Leagues Under the Sea. Six key illustrations are used against a nautical colour palette featuring a distinctive nautical name. Finally, we incorporated hops heads into the background illustration on each design to reference the different types of hops used for each brew. The hops illustrations are printed directly onto metallic substrate for both bottles and cans, offering the consumer further intrigue and providing a reference to the origins of the craft.